Anette was born in Odense, Denmark, on the 4th of August 1988. She soon developed her interest in music, both singing and playing the piano from the age of 5. A lot of time has since then been spent practicing and attending several competitions in classical piano, as well as playing hundreds of jobs at weddings, birthdays, receptions, etc. Alongside playing the piano, Anette is the lead singer in The Blues Express.The Blues Express won The Danish Blues Challenge/Møblomania Blues Award 2011, sending the band to Berlin, representing Denmark in The European Blues Challenge. Her interest in the composition of music began in the early years, where she found great joy in writing her own songs and melodies. Watching movies and listening to scores, she fell in love with the universe surrounding movies and music. Ever since then, it has been a great dream of hers to work with film music. 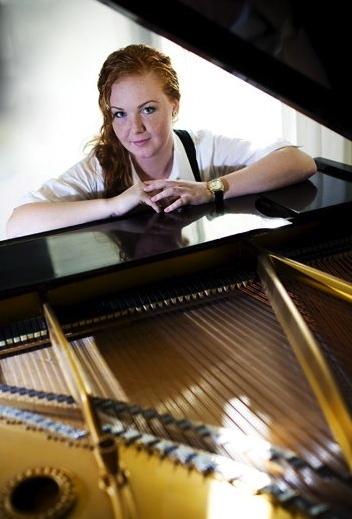 In 2012 she was accepted at The Danish Music Academy, studying Film Music Composition. Anette graduated as Master in Film Scoring, Cand. Musicae, on the 3rd of July 2014.